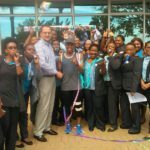 In the beginning of September 2017, Lesego Sepeng ran an average of 35km a day between six Mediclinic hospitals to raise awareness of heart disease in South Africa. This is his story. 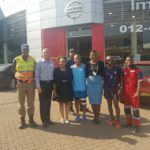 On 5 September 2017, a young man was spotted running on the M21 in Tshwane. 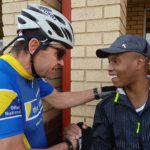 He was wearing a yellow vest and blue shorts and was trailed by two cyclists, an ER 24 ambulance and a Mediclinic vehicle. “Then I’m running for you too!” smiled the young man, and set off again. The young man’s name is Lesego Sepeng. 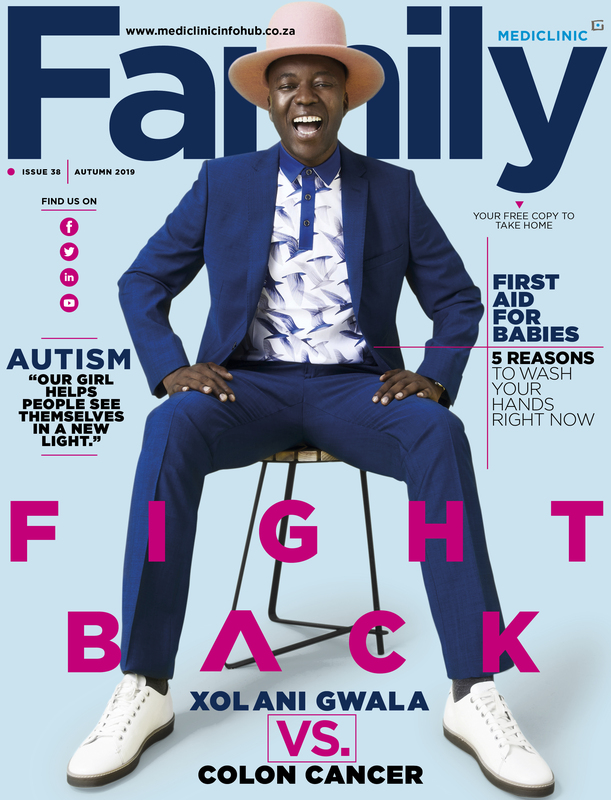 He is a 23-year-old pharmacy store co-ordinator at Mediclinic Brits, which was the starting point of his run. 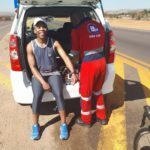 His end point for that day was Mediclinic Legae, a distance of 40km. 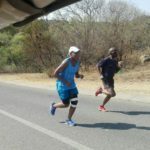 Over the course of the next five days, Lesego would run from one Mediclinic in the Tshwane region to another – from Mediclinic Brits to Mediclinic Legae, and from there to the Mediclinics Medforum, Kloof, and Midstream before running back to Mediclinic Brits – a circular route covering 175km. 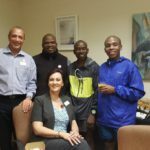 This is the Heart Endurance Run, Lesego’s brainchild that marries his existing passions: running, heart health awareness and Mediclinic hospitals. South Africa has one of the highest rates of high blood pressure worldwide with 1 out every 3 adults affected. High blood pressure is a Silent killer. 75% of patients are unaware of their status. 210 people die of heart disease every day. 80% of premature deaths caused by heart disease could have been prevented by leading a more active lifestyle and avoiding bad habits such as eating fast food and smoking. And his efforts are already making ripples in the people he is touching. 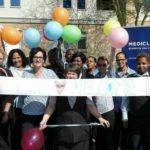 At each Mediclinic, Lesego is welcomed by a beaming and enthusiastic group of staff. “The initiative embraces many of our Medicinic values,” he says. “It is performance-driven, but not just about performing in your job. It’s about taking those activities that we do in our lives and bringing them into our workplace. We are at the forefront of health; we should carry that torch of a healthy lifestyle. “It’s also about patient safety. We are saying to our patients: if you lead an active lifestyle, you will be safer. You will reduce your risk of heart disease. 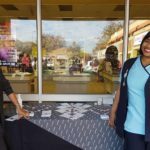 Lesego’s dream is to become a nurse. “There is nothing better than going back home every night knowing that you have made a difference in someone’s life”. 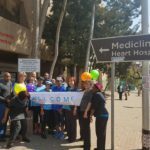 There are already plans afoot, as it were, to stretch the Heart Endurance Run beyond this instance to an annual event – not just in Tshwane but throughout the Mediclinic Group. Until then, Lesego Sepeng will continue to put his running shoes where his heart is. 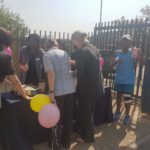 Another aspect of the Heart Endurance Run is a donation drive for retirement homes in Tshwane. 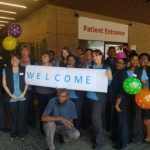 Through the month of September special boxes will be placed at Mediclinic Brits, some of the GP rooms, as well as at the Pick n Pay opposite Mediclinic Brits. People will be encouraged to donate non-perishable food items in these boxes, which will then be distributed to retirement homes in Mothotlung, and beyond. Follow Lesego’s Heart Endurance Run below or #ShareTheHeart to help raise awareness. 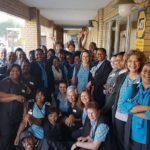 During Pregnancy awareness month in February, Mediclinic will be offering free educational support sessions to assist parents in making important decisions. What health issue affects the most women?